The List magazine has singled out Plan Bee’s Beehive Brae Honey Beer as one of its leading products during Scotland’s Year of Food and Drink 2015. The Motherwell-based craft brewer is now producing two varieties of the Honey Beer in original blonde and new RED, both created for the Betterment of Bees. The List also nods towards Beehive Brae’s Elderflower and Rose Mead. Beehive Brae Honey Beer is produced with honey from Plan Bee’s sustainably managed hives. 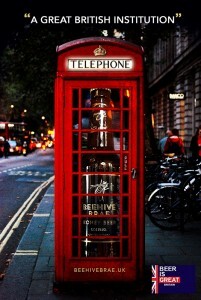 The company works in partnership with some of the largest businesses in the UK to give them extra environmental clout. Sales of the beer help to support dwindling honeybee populations which have decreased by more than 50% in the last two decades alone. 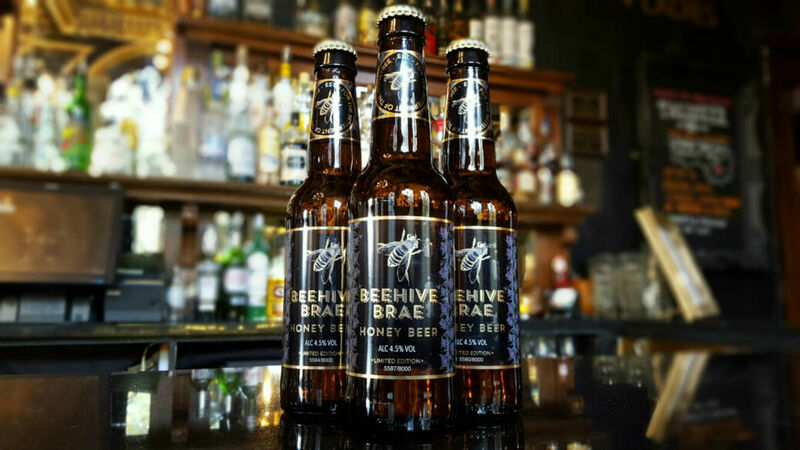 The honey beer was only made possible following Plan Bee’s initial crowdfunding project in 2014, in which the young company was 175% successful, raising over £100,000 to help bring eco-innovative new products to market. We’re all rushing about like busy bees preparing for Christmas. 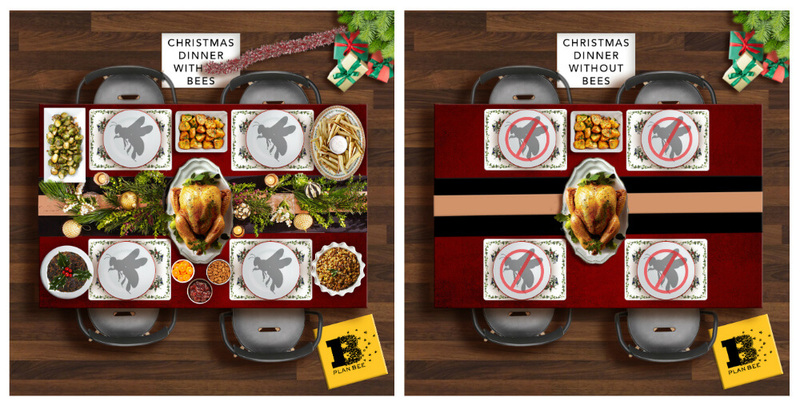 But without those busy bees there wouldn’t be a Christmas as we know it, and certainly our Christmas Dinner would be pretty grim. Many of the yuletide staples and trimmings that we have come to expect as part of the great Christmas feed would cease to exist if it wasn’t for the humble little honeybee and its friends. Honeybees are responsible for pollinating a third of the food that we eat. And without them, your big family feast would be greatly depleted. The team have extensively promoted the extent to which our dinner tables, fridges and supermarket shelves would be effected without this tiny little creature. University of Reading research found that honeybee populations had declined by around 50% in the last two decades through climate change, poor pesticide management and man’s negative impact on the environment. University of Bristol research has also found that honeybees and their pollinator friends are responsible for 80% of all plant species in Europe including both fruits and vegetables. Plan Bee works with businesses big and small, from family-run companies to global brands to install and manage beehives. Working with dozens of companies, they’ve helped to preserve and protect more than 10-million honeybees in over 200 hives stretching from Aberdeen to Cornwall. 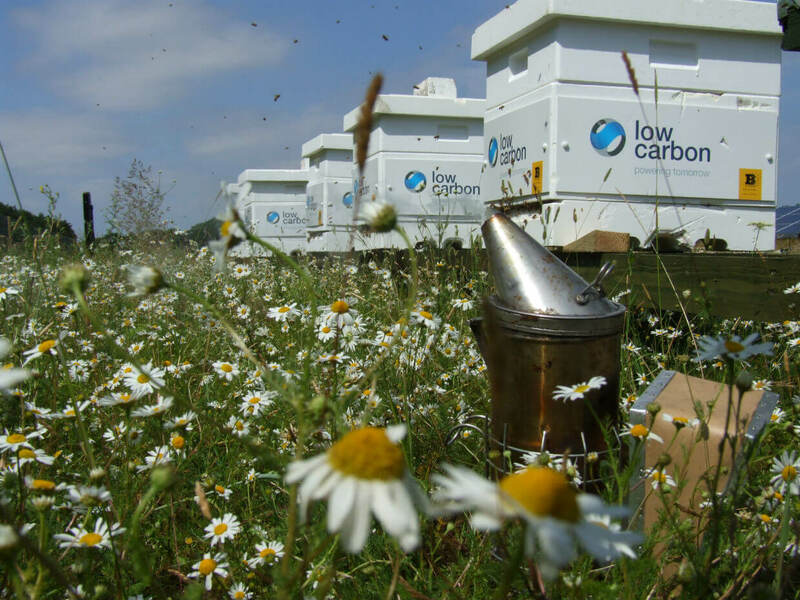 The eco-innovation business has attracted a number of new ‘partnerships’ in 2015 including Kellogg’s, L’Oreal, Low Carbon and British Gas, as more and more companies realise the importance of protecting honeybees and extending their sustainability reach. With one colony of honeybees capable of pollinating 4000m2 of fruit trees, Plan Bee’s partnership colonies could pollinate an area of agricultural land more than 110 times the size of Wembley. Leading sustainability business Plan Bee Ltd is going high tech in its mission to save endangered honeybees. With honeybee populations virtually across Europe having been decimated in the last two decades alone, UK beehive management business Plan Bee Ltd is turning to technology in a bid to gather greater evidence. 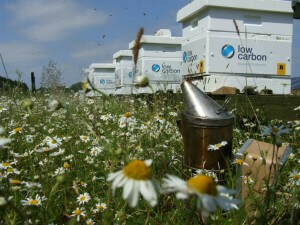 The eco-innovator is working together with renewable energy partner Low Carbon to install unique monitoring systems that not only measure hive temperatures and humidity, but also hive acoustics. As well as the effects of climate change, poor pesticide management and man’s impact on the environment, honeybee colonies are also being hit with ‘hive rustling’, where commercial hives are stolen from farms and sold on for their valuable contents. Monitoring can also help to track any such stolen hives. The data monitors not only collect information on conditions within the hive, but also map the daily flight information, fanning activity and access the efficiency within the collection and processing of the colony’s nectar. Most importantly, the system studies the major influence played by the external environment on various colonies. The initial instrumentation will be hosted at Low Carbon solar parks across the south of England, from Cornwall and Dorset to Suffolk. Hive monitoring can provide the greatest reliability and consistency in environmental monitoring. All data collected is time-stamped to the second, and isn’t reliant on manual operation. Locating on relatively isolated solar parks, adjacently located to agricultural land provides a unique location to monitor impacts away from man-made influences. It could also provide valuable information for farmers. Plan Bee is helping to build the buzz around Small Business Saturday (5th December 2015). The annual event, which takes place on the first Saturday in December, encourages UK shoppers to think about their small, local companies rather than looking to huge supermarkets and the usual High Street retailers. Last year more than £500million was spent on Small Business Saturday, as shoppers flooded out in support, with 64% of UK consumers aware of the now annual event. Plan Bee has become a leading light in the small business community in Scotland, as one of the fastest growing sustainability businesses in Britain. The company has scooped around 30 accolades in less than five years, working out at around one every eight weeks. The company has worked closely with Glasgow Chamber of Commerce to promote its sustainability brand and high quality honey products not only in Scotland, but across the UK and internationally. Small businesses account for a huge £1.8 TRILLION share of the UK’s economy, but they also account for millions of UK jobs. Nearly 16 million people are employed by over five million small businesses across the country. These businesses are helping to increase and diversify the skills that we have here in Britain, and to raise the profile of the country internationally as a country to do business with.